What is the Affordable Warmth grant scheme? The Affordable Warmth scheme offers homeowners grants for the installation of energy efficiency measures including boiler replacements, insulation and radiator installation. The scheme is funded by the Department for Social Development and is only available in Northern Ireland in areas being targeted by the local council. To qualify for an Affordable Warmth grant you must be an owner occupier or householder of a privately rented property and your gross annual income must be below £20,000. There are specific rules for those applying as a private renter. Your landlord must be registered with the Department for Social Development’s Landlord Registration scheme. They will also need to give consent for any work being done and will have to contribute towards the cost of it. Please note: this scheme is only available in certain parts of Northern Ireland where the local council is targeting your area. What energy efficiency measures can I get? For each of these categories the existing conditions in the property will be reviewed to determine which measures are available. For example if no heating system exists, the available solution is the installation of natural gas or oil heating. You can find a full list of available energy efficiency measures here. How do I apply for Affordable Warmth? If you are entitled to help under this scheme, you will be given a list of measures that you can install and approval to start the work. You may choose which contractor you wish to use or choose from the Housing Executive list (installers should be accredited to a relevant trade body). What is the Boiler Replacement Grant? Owner occupiers in Northern Ireland can receive a grant of up to £1,000 to replace an inefficient boiler, install a wood pellet boiler or switch from oil to gas. The scheme is funded by the Northern Ireland Housing Executive and so far the scheme has helped to replace over 18,481 old and inefficient boilers in homes across Northern Ireland. Your current boiler must be at least 15 years old and you can only have a gas boiler replaced if the gas connection to your home was made 15 or more years ago. The grant cannot be used on Economy 7 heating, back boilers, room heaters or stoves used exclusively for cooking. How do I apply for the Boiler Replacement Grant? Providing they are Gas Safe Registered, you can actually choose the boiler installer who will carry out the work yourself. 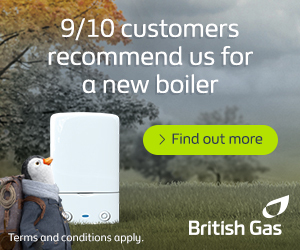 In order to replace your boiler, you must first get written approval from the Housing Executive.